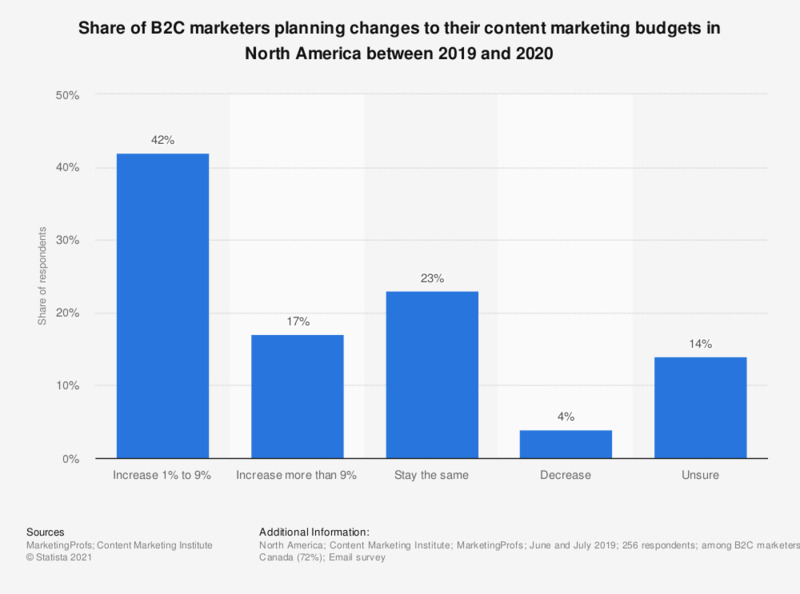 The graph shows the plans regarding B2C content marketing budgets in North American companies as of July 2018. During the survey, 57 percent of B2C marketers stated that they were planning to increase their content marketing spending in the following 12 months. Question: "How do you expect your organization’s content marketing budget to change in the next 12 months?"